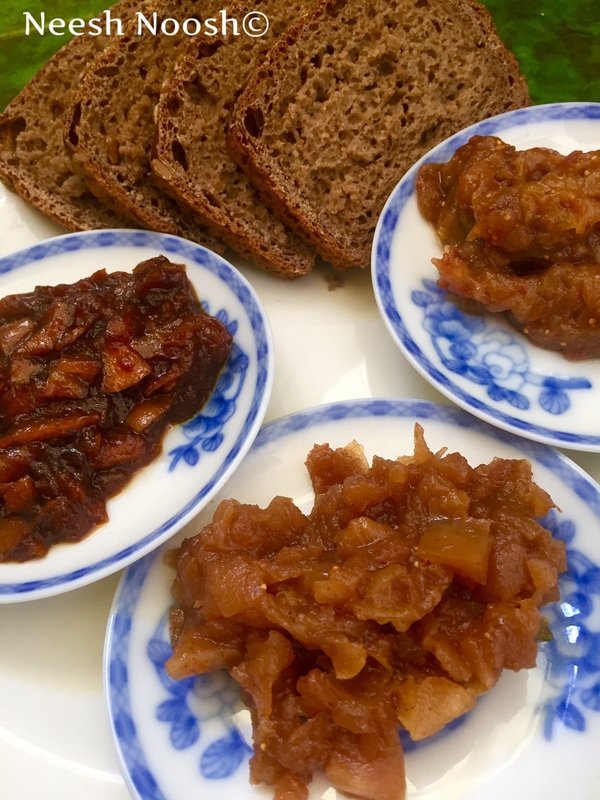 I prepared three jams with fruits purchased from the farmers market at the Tel Aviv port and from trees in my neighborhood. Unlike most jam recipes that call for large quantities of sugar, these recipes are fairly low in sugar. Enjoy with fresh, warm bread. 2. Place figs in pot with dates and sugar and cook over low-medium heat. Let sugar melt and figs begin to soften. 3. Add lemon juice and continue to cook until figs are soft and mushy, about 15 or so minutes. If it begins to stick to the pan, add a bit of water until figs are completely cooked. 4. Remove from heat when finished. 1. Add sugar and a few tbsp water to a pot. Bring to a boil and let honey melt. 2. 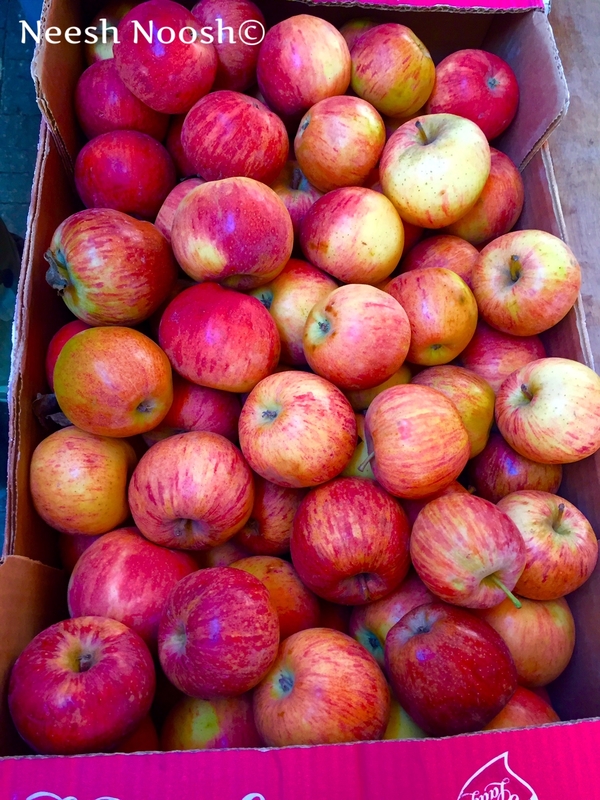 Wash apples and cut into pieces. Place in pot with honey. 2. Add cinnamon and continue to cook over low heat, adding water as necessary to prevent burning. The apples should soften, but don’t let them burn. Cook for about 20 minutes. Stir and mash apple pieces as it cooks. 3. When the mixture is thick and most chunks of apples have dissolved, add lemon juice. Let cook for a few more minutes and then remove from heat. I’m fortunate to have many publicly accessible kumquat trees growing in my neighborhood. The small trees are magnificent when filled with dazzling little orange colored fruits. Kumquats are slightly bitter but tasty raw and also delicious as a jam. The recipe below is based on one from All Recipes. 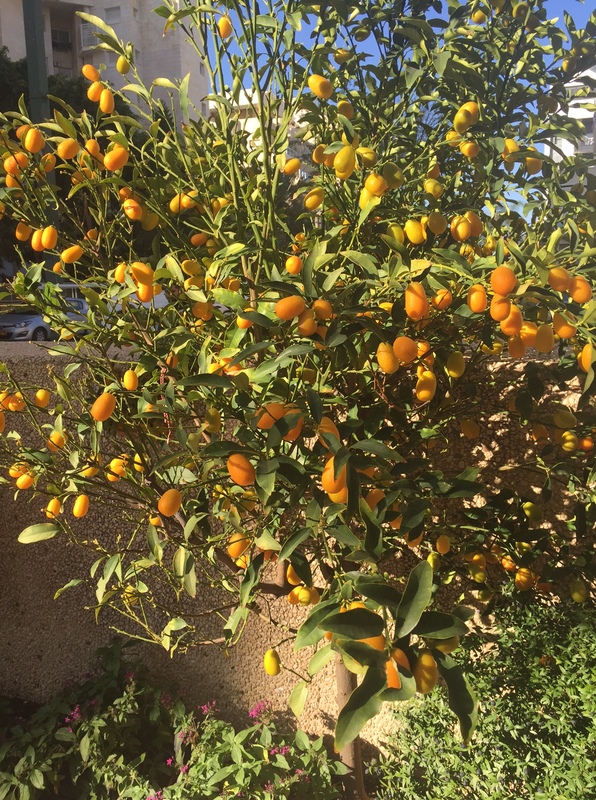 A kumquat tree in front of my house. 1. Thinly slice kumquats and orange (remove seeds). Place in bowl and cover with water to soak for at least 12 hours. 2. Place fruit with water in a pot and bring to a boil. Reduce to a simmer and cook until fruit is soft. 3. Add sugar/honey and lemon juice to pot. Bring to a boil again, occasionally stirring. Add water, if necessary, to prevent burning. Once the mixture has “gelled” remove from heat and skim foam from surface. 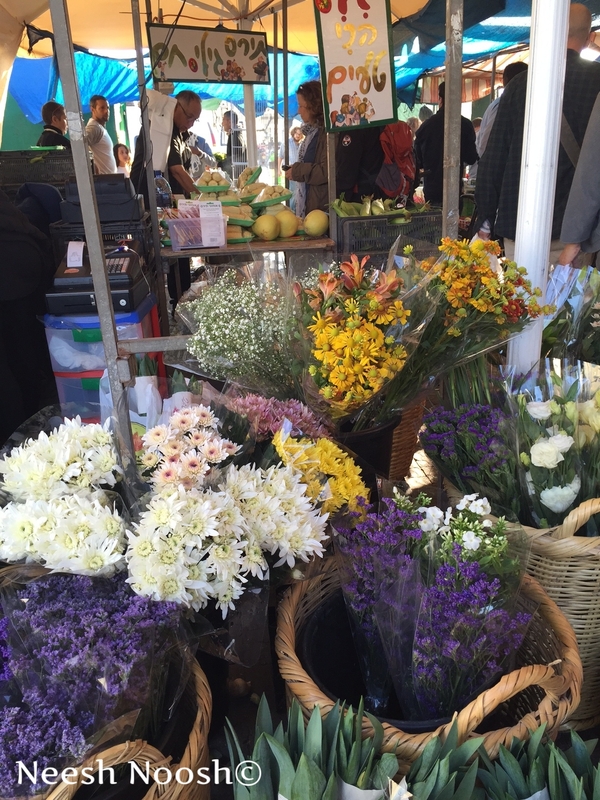 This entry was posted in condiment, Fruit, Holiday, Shevat, Tu B'shevat and tagged environment, fruit, jams, low-sugar, Shevat, tree planting, trees, Tu B'shevat, vegan by Sarah Newman. Bookmark the permalink. Thank you for the information which I did not know about previous to your article. And thank you too for names of places we can contribute for trees to be planted.